In the past decade, wildlife trafficking—the poaching or other taking of protected or managed species and the illegal trade in wildlife and their related parts and products—has escalated into an international crisis. Wildlife trafficking is both a critical conservation concern and a threat to global security with significant effects on the national interests of the United States and the interests of our partners around the world. As President Obama said in Tanzania in July 2013, on issuing a new Executive Order to better organize United States Government efforts in the fight against wildlife trafficking, wildlife is inseparable from the identity and prosperity of the world as we know it. We need to act now to reverse the effects of wildlife trafficking on animal populations before we lose the opportunity to prevent the extinction of iconic animals like elephants and rhinoceroses. Like other forms of illicit trade, wildlife trafficking undermines security across nations. Well-armed networks of poachers, criminals, and corrupt officials exploit porous borders and weak institutions to profit from trading in illegally taken wildlife. 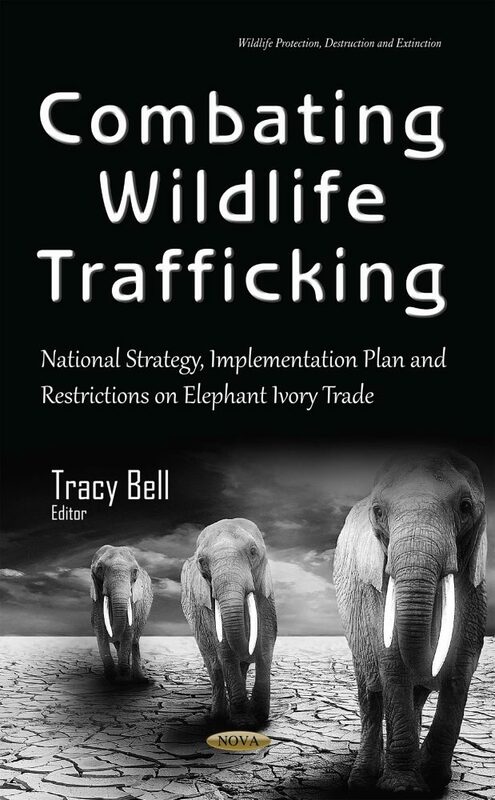 This book discusses national strategy, implementation plans, and restrictions on elephant ivory trade.